Congressman Rick Larsen will visit the opening of A War Never Ends presented by the San Juan County Vietnam veterans and American Legions at the San Juan Islands Museum of Art (SJIMA). Following the exhibition tour on Saturday, April 6 at 3:15 pm, Larsen will talk informally with veterans, their families and visitors. 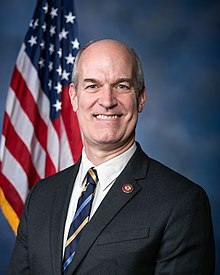 He also serves on the Veterans caucus, National Defense University-Strategic Policy Forum, arts caucus and addiction, treatment and recovery caucus, as well as the Navy-Marine corps caucus, oceans and Puget Sound caucuses. Veterans make up about 10% of the population in the county, thus these are important issues to our region. 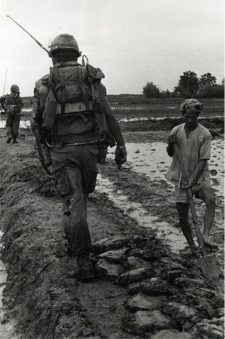 In the main gallery, MY WAR: Wartime Photographs by Vietnam Veterans captures the in-between moments of life in Vietnam. The goal of the exhibits is to honor the courage and the accomplishments and the suffering, the silence and the struggle of the war. All veterans are admitted free of charge for these exhibitions. Also, free of charge to all, is the talk on Sunday, April 7 from 1-3 pm at the Grange. Vietnam war nurse and practicing nurse psychotherapist, Sarah Blum will be addressing PTSD and trauma resolution in her presentation, A Journey Back To Vietnam. All having dealt with PTSD, whether from military service or any other traumatic experience are invited. MY WAR: Wartime Photographs by Vietnam Veterans and A War Never Ends run from April 5 – June 3, 2019. Regular museum admission is $10 with SJIMA members and those 18 and under entering free of charge. Hours are Friday-Monday 11-5 and summer hours starting May 23 are Thursday-Monday 11-5. Mondays are Pay As You Can Days.